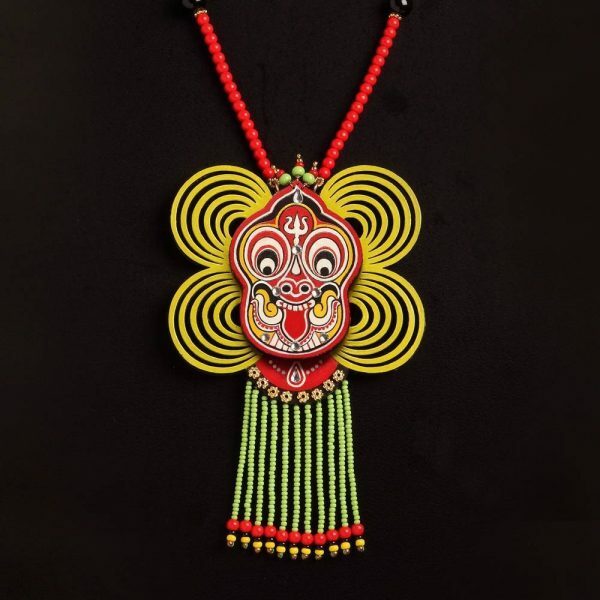 The Theyyam collection draws inspiration from the ritualistic art form of North Kerala. Colorful masks and imaginative costumes of this dance forms the background of this eclectic collection. A riot of colours, patterns and folk art, you’ll discover that God is indeed to be found in the details. 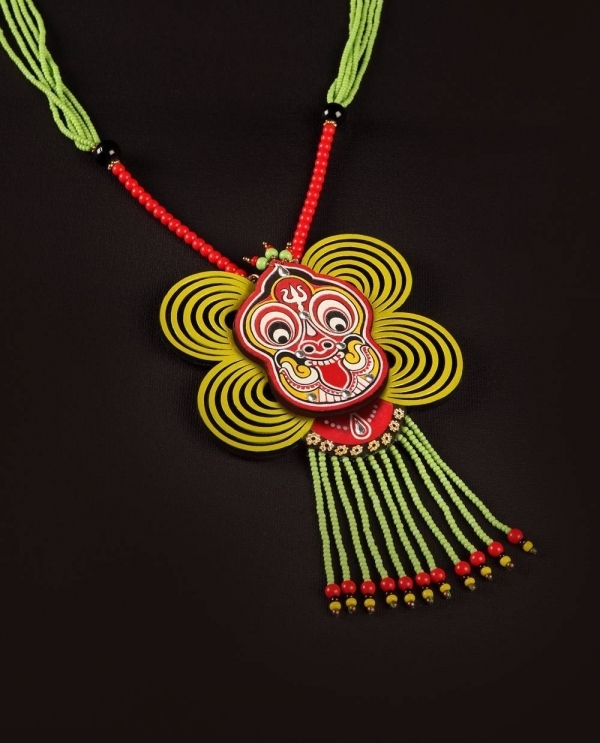 Each piece of jewellery is one-of-a-kind and the attempt has been to capture the intensity and energy of the dance form. Hand painted and crafted by artists on layered wood. Embellished with gold finish brass and silver foiled crystals. Strung together by glass beads by the traditional community of Patwas, this jewellery that exemplifies the designer’s idea of giving the art of India a whole new destination – on the person of a woman.